PostgresOpen Silicon Valley is a non–profit, community–run conference series in the United States focused on business users, database professionals and developers of PostgreSQL, the open source database. This year PostgresOpen has combined forces with PGConf Silicon Valley to bring together two large Postgres conferences to create an even larger more exciting event. We target entrepreneurs, technologists and decision–makers on the leading edge of data management, open source database innovation and disruption of the database industry. 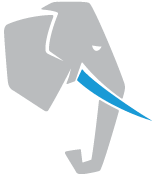 PostgresOpen promotes the business of PostgreSQL as well as its use and development. View our speaker videos from the 2016 PostgresOpen conference here and from the PGConf SV conference here. PostgresOpen’s presentation span wide variety of topics surrounding Postgresql. The conference will run multiple parallel tracks covering different technical levels to ensure there is always something interesting for everybody. All talks will be given in English. Sarah Conway, Web Developer, Crunchy Data Solutions, Inc. Please see our policies regarding our refund, speaker, and anti-harassment policies.